the body needing to be the nice wick for the lamp and the mind the oil. set alight as spirit, adi-athma sakthi dances as purpose fulfilled in the energies aligned with the divine. the primal life force. days back in the history of sage mahatma gandhi – when the freedom movement of struggle had begun in india. there was the magic that held all of india’s population to trust ahimsa- non-violence. mahatma gandhi’s method to gain freedom though overwhelming in its power, still , took freedom another 26 years to actually materialize. at this time in the early days of india pre-independence time, there lived the great sage, one of the founders of our new age, sri bhagwan ramana maharishi. people asked sri ramana, at the time when the freedom struggle through non-violence had just begun, ‘who is this person mahatma gandhi? will he succeed in attaining freedom for india?’. 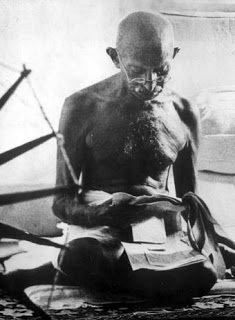 this enlightened all knowing sage ramana’s reply was, ‘gandhi is the ancient soul in the human for the purpose. he has adi-athma sakthi with him. all will be achieved’. over 50 years has passed since india attained independence. inspite of the bloody partition of india on the basis of religion and irrespective of the serious practice of religion by most people of all faiths and the visible presence of religion of every faith in nearly all corners of the streets in towns and cities, peace and harmony reigns in india as the mahatma’s blessings. blessings that unfold the wisdom of the victorious higher pathway. knowing the highest purpose and awakening, her, the adi-athma sakthi, is the yogi’s ultimate gift- so each day is inspired in the doing of just clear knowing. yogic discipline comes from recognition of joy at its most immense subtle form. this inspired joy is her awakened energies and perfection flows even through inaction while action is from the stream thoughts of the single pointed mind. 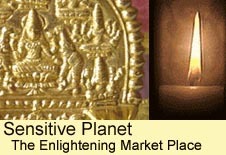 powerful in manifestation and able to move humanity to the next levels. a momentum of energy within each as the lamp lit. breath, the cradle of each thought and within the breath, the surrender to be spirit. the primal life force, adi atma sakthi awakened in breath. all life force moves in the sacred energies! may we all collectively achieve! adiyen nandhi expressing the insightful joys of his seniors.